When the temps dip, the ice gets nice: Lace up your blades and go for a leisurely spin on these beautiful winter wonderland tracks. The gorgeous Lake Louise is a sought-after destination all year long, but once December hits, the jewel of the Canadian Rockies transforms into a real-life winter wonderland, giving skating enthusiasts the chance to glide across its seasonal stage. The surrounding snow-capped mountains and glaciers only enhance the enchantment, making it a great date for adventure-enthusiasts. 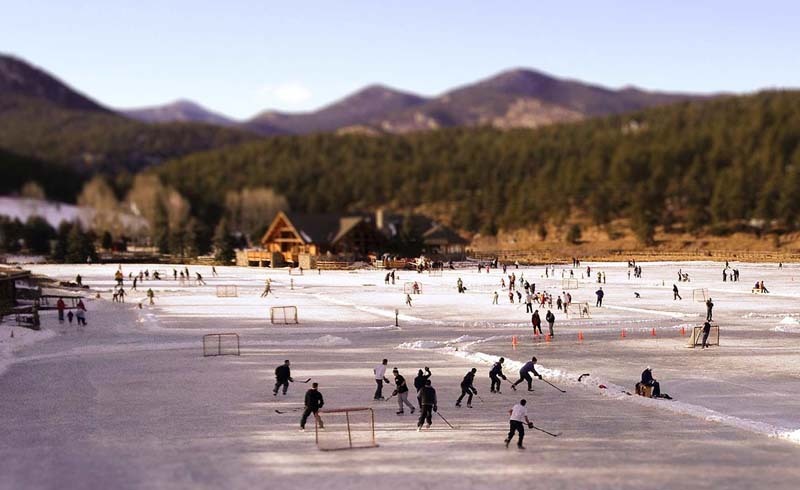 Situated in Lakeside Village, Keystone Lake is largest Zamboni-groomed outdoor ice rink in North America. Blade and puck rentals are available on-site. 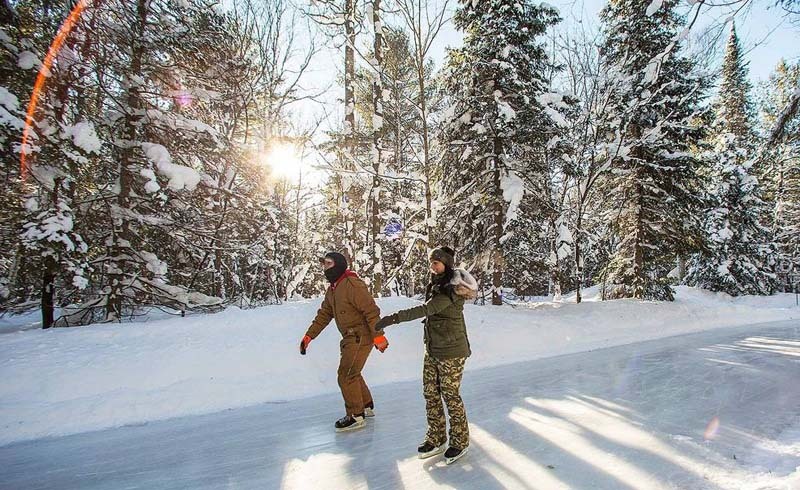 And, after a pickup hockey game or a few laps around the 5-acre body of water, visitors can warm up with a cup of cocoa at the Adventure Center. 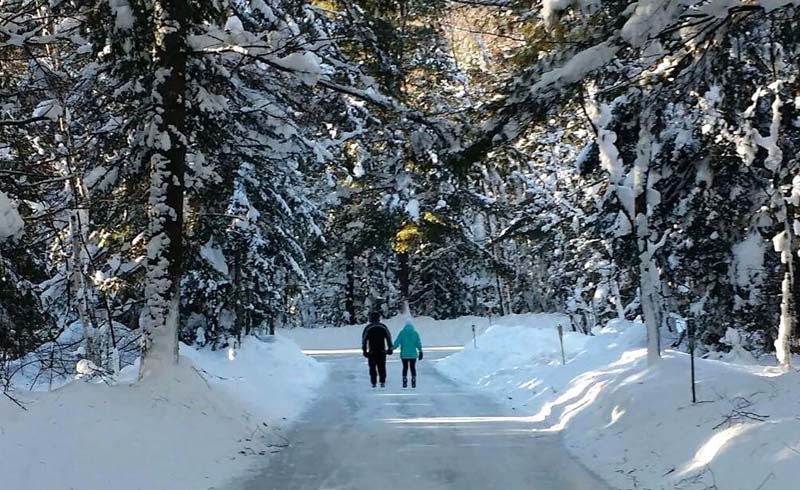 One of Ontario’s most popular seasonal attractions, Arrowhead Ice Skating Trail is a fairytale-esque, frozen pathway that winds through Muskoka’s snow-covered evergreen forest. Throughout the winter, on Thursday and Saturdays, Arrowhead Provincial Park hosts after-dark skating sessions known as Fire & Ice nights. 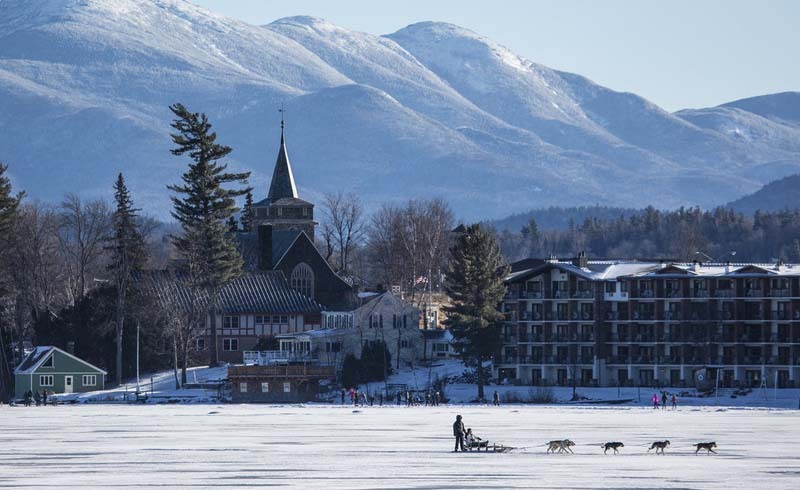 With its crisp Adirondack air, scenic views, and bounty of seasonal activities, Mirror Lake is a winter lover’s dream. Skaters cruise the well-plowed, 2-mile track at the edge of the lake, which is open to the public 24 hours a day, seven days a week—even on Christmas . Situated in the majestic Jura Mountains, Lac de Joux is as picturesque a place as any. 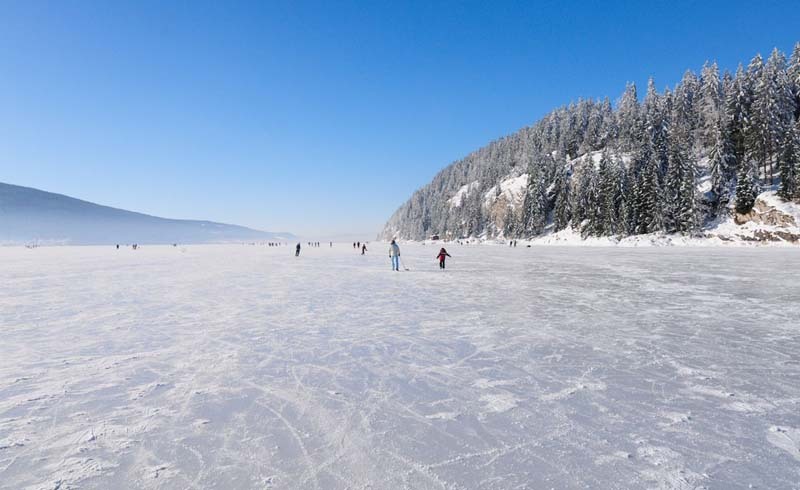 And unlike some of the more massive lakes in the region, it totally freezes over, turning into the biggest, free, open-air, skating rink in all of Europe. On weekends, vendors set up stalls on the ice itself, selling food and warm beverages. Montana’s Canyon Ferry Lake, a reservoir of the Missouri River just outside Helena, offers a plethora of recreational opportunities. In the warmer months, it’s optimal for boating, swimming, and fishing. 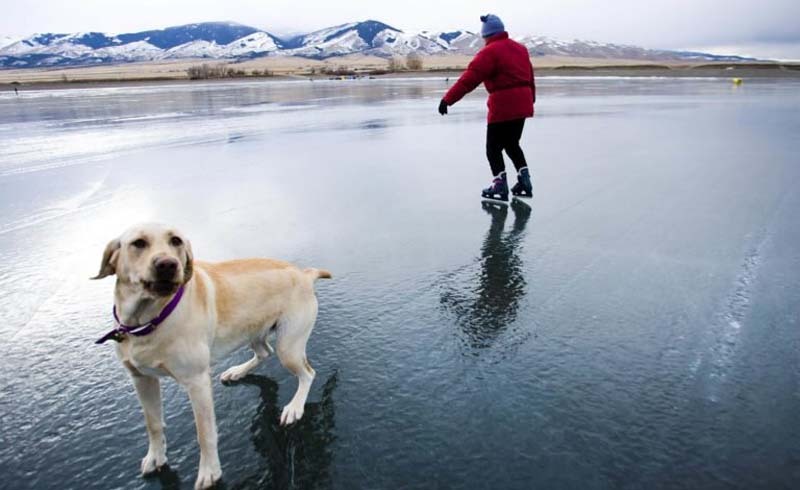 When winter hits, Montana’s third-largest lake converts into a smooth, slick surface that’s perfect for wild skating. 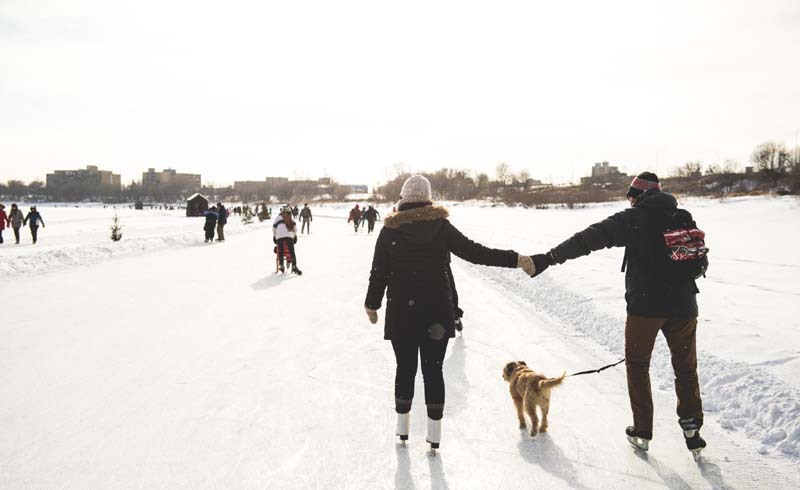 Skating the Red River Mutual Trail—a 5.3-mile, ice-covered track that stretches from downtown Winnipeg to the countryside—is a local tradition, not to mention it’s in the Guinness Book of World Records for being the longest naturally frozen trail in the world. But whether you choose to skate, walk, or sled, this beloved seasonal attraction is not to be missed. Who knows, you may even meet your soulmate…this couple did. 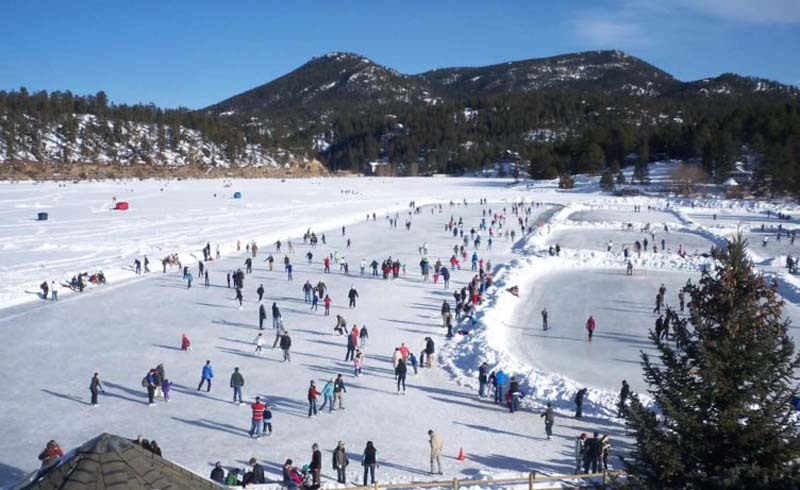 Just 30 minutes west of Denver is the largest Zamboni-maintained outdoor ice-skating rink in the world, Evergreen Lake. 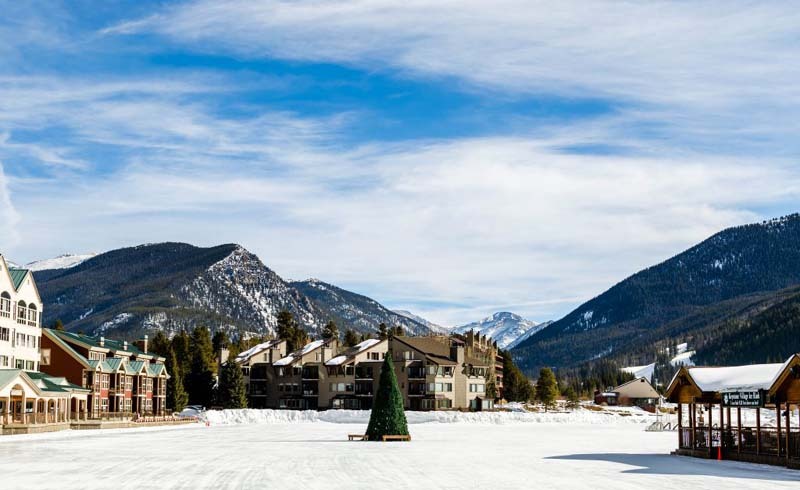 Tucked between the pine-covered mountains and a public golf course, this 8.5-acre expanse offers ample space for hockey, free skating, and broomball (rentals are available).